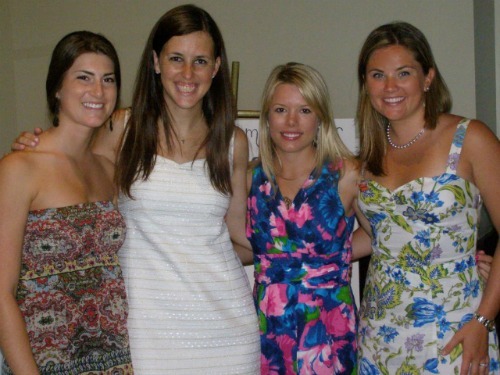 Last weekend I went to a bridal shower in Boston for my friend Alexis. 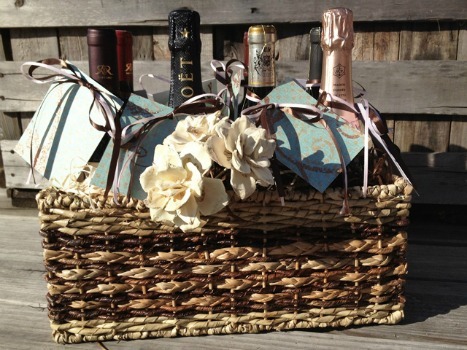 I loved this wine basket of "Firsts" that she received and plan to put one together for an upcoming shower. ...and I can't remember the last but you get the point! Here are a few variations that include poems. 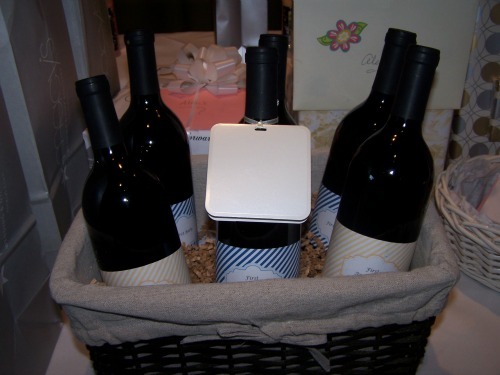 You may have been to a shower where the basket was given by the bridesmaids and each recited one to the bride. This tutorial includes tag printables in a variety of colors. 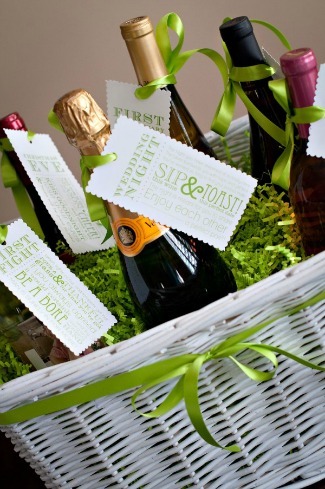 Another how-to that includes printables and tips for putting your basket together. This melamine beverage tub is filled with wine corks. Kathy, Alexis (the bride), me and Meg at the shower. Alexis and her fiancé Dan will be married at Trinity Church in Copley Square this fall, can't wait! My mom did this for one of my showers and I loved it!! It was definitely one of my favorite gifts. I know she still has all the poems on her computer, let me know if you need any! That is a fantastic gift idea! I love it and writing that down in my gift list ideas. I was going to do one of these for one of my best friends getting married. I am so glad you posted ones with printable tags- thanks! 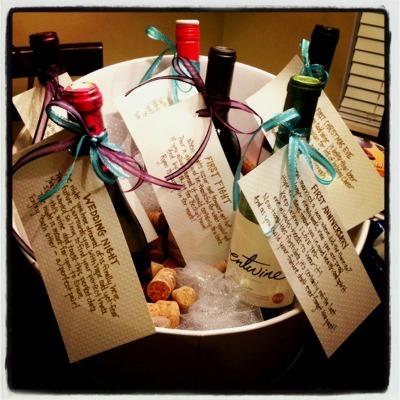 I did this for my bestie's bridal shower and her (and the groom!) loved it. So fun! i love the idea of firsts on labels.. so cute. I'll definitely have to use this sometime!